Provide customers and resellers with a highly personalised, interactive online service 24 hours a day. They will be able to get answers to their questions, review their account details and complete transactions. SOLID’s responsive design means your portals can be accessed from any device, an essential feature in today’s marketplace. Let customers view and change account information, contact details and company communication settings. 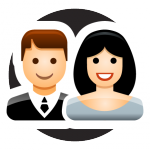 Post information online to communicate directly with your customers or resellers. Customers can view and download financial documents such as statements, invoices and credit memos; freeing up your accounts team from high volume requests. Automate reminders for account arrears, password policies and new services. Let customers upgrade and add extra services to their accounts on-demand. Automated workflows mean services are automatically activated. Portal features and functionality are specified by you and branded to your requirements. Create separate portals for customers and resellers, providing information, features and functionality relevant to each group’s requirements. 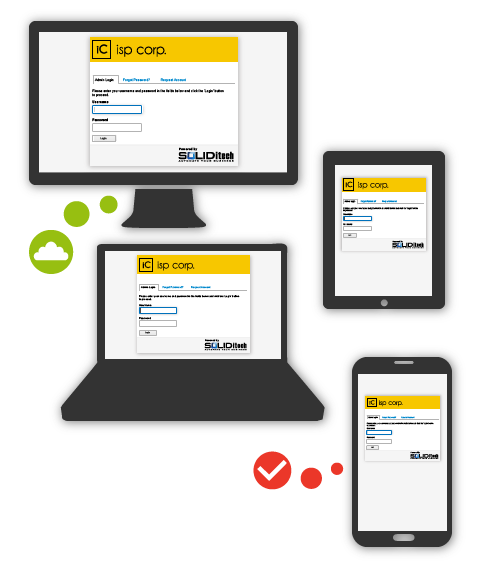 SOLID’s responsive design means your customer and reseller portals are available through any internet enabled device. Customers are very happy when they don’t have to wait to speak to a customer advisor to solve simple problems or ask simple questions.